Looking for the perfect romantic holiday to celebrate Valentines in Galway City with the one you love? 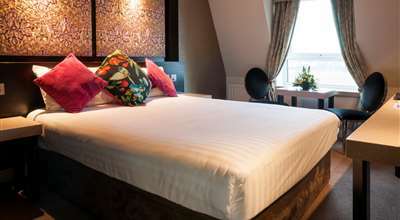 Choose Flannery's Hotel, Galway! Located just 2 kilometres from the city centre and with the cliffs of moher, the burren and connemara on our doorstep there are many places to explore. Whether you're looking for a relaxing few nights away or somewhere you can explore and be adventurous, we have it all. 2 Nights Bed & Full Irish Breakfast with a 3 Course Table d’Hote Evening Meal with tea/coffee on one evening for 2 persons sharing. Stay between February 14th - 17th 2019 FROM ONLY €109 pps.